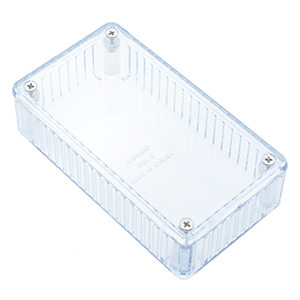 Browse our range of enclosures manufactured from flame retardant polycarbonate and available in clear or blue colours. The lap joint construction provides protection against dust and splashing water, designed to meet IP54. The enclosures provide a cost effective choice available in a range of dimensions for hobbyists and manufacturers.